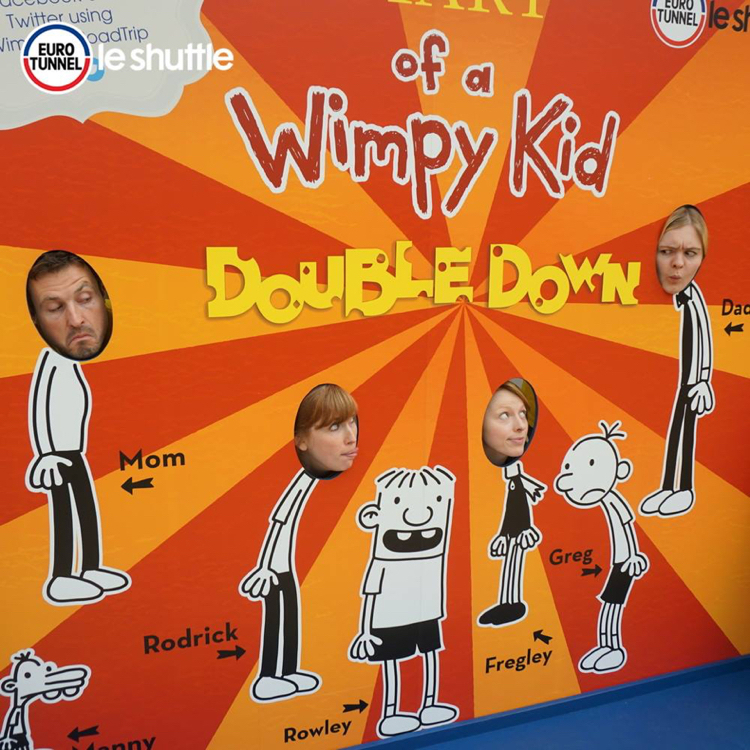 The Diary of a Wimpy Kid Zone – Beware the Cheese Touch! 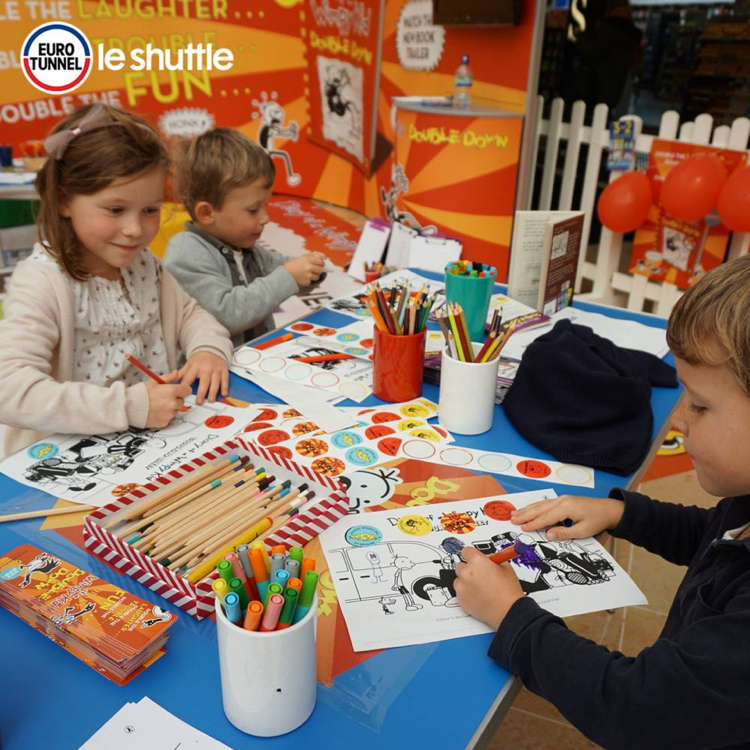 The team at Eurotunnel understand that passengers’ holidays start long before arriving in France, so they were keen to bring some magic into their Folkestone terminal over the October half term. 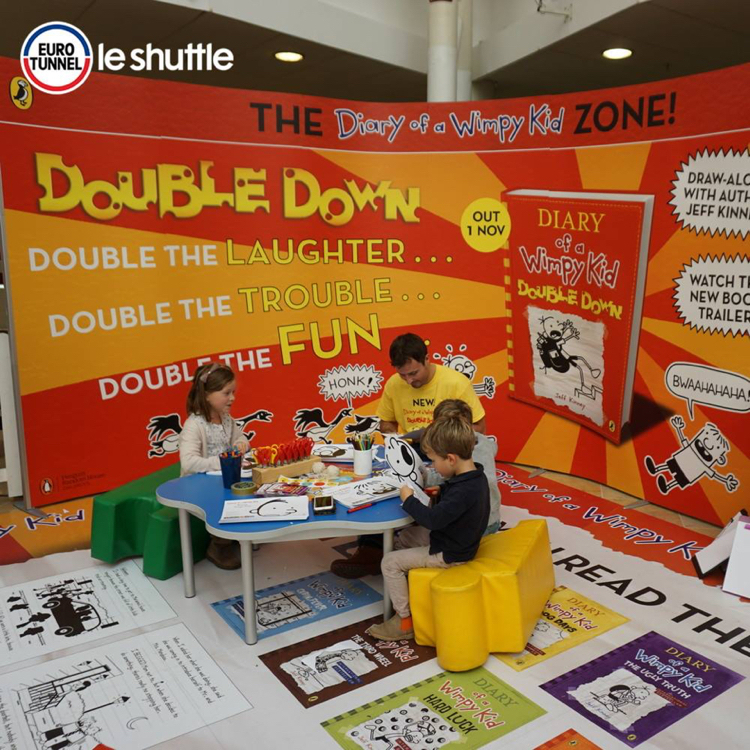 With the upcoming launch of its biggest selling children’s book, Diary of a Wimpy Kid (DOAWK), Penguin came on board to create an interactive experience for kids before they boarded LeShuttle. 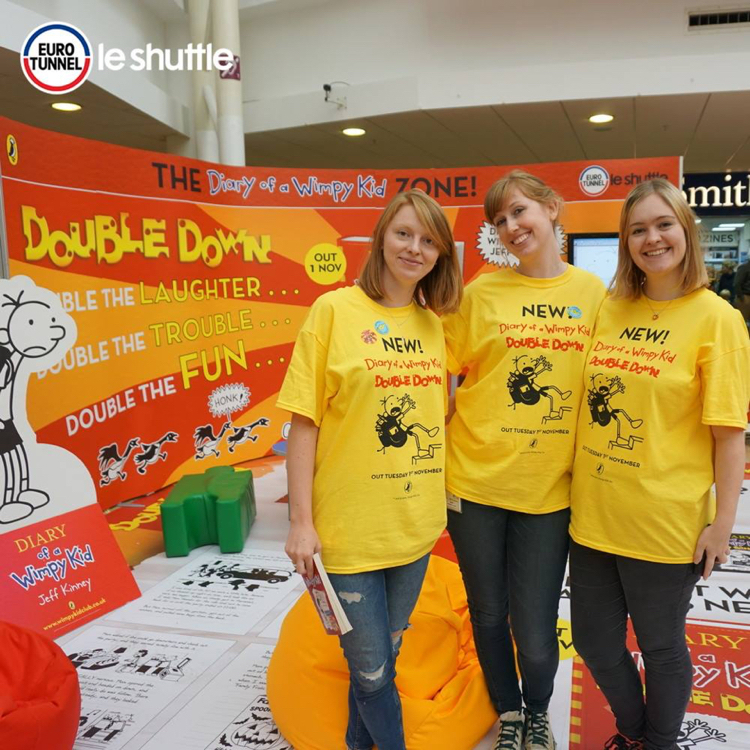 Centered around the eagerly-awaited new book, Double Down, kids were offered all sorts of fun activities to enjoy – from learning how to draw their favourite characters from the books, to playing DOAWK themed games, colouring in scenes from the books and creating face masks to take away with them on their jollies. 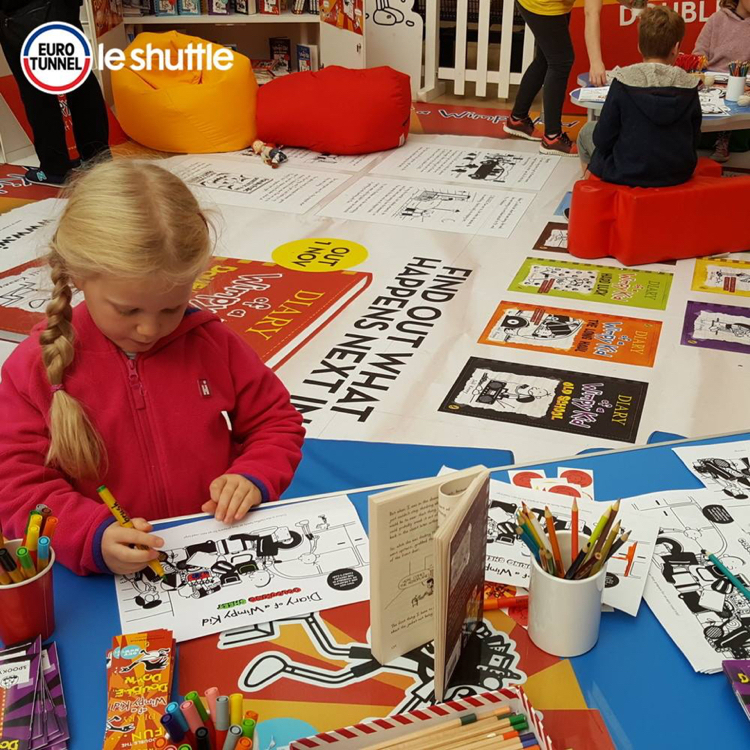 A special reading area was set aside with beanbags and the full back catalogue of DOAWK books for those kids wanting to chill out before their journey. 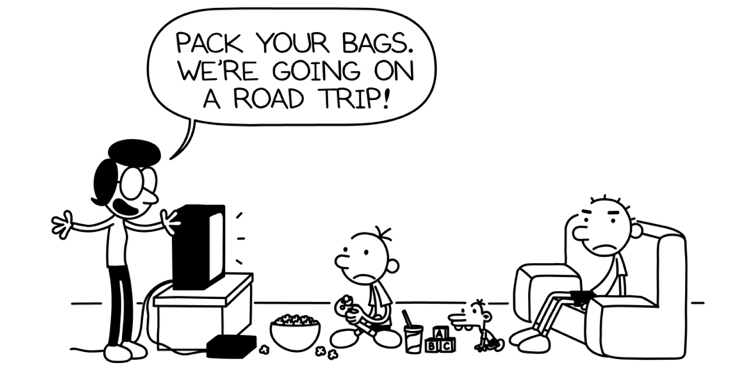 There was even the chance to win tickets to a special event and meet the books’ author, Jeff Kinney. 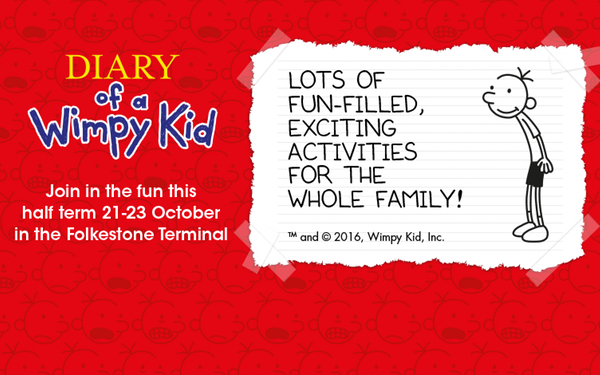 With thousands of happy young passengers boarding the trains with smiles on their faces, the partnership was a great success all round. 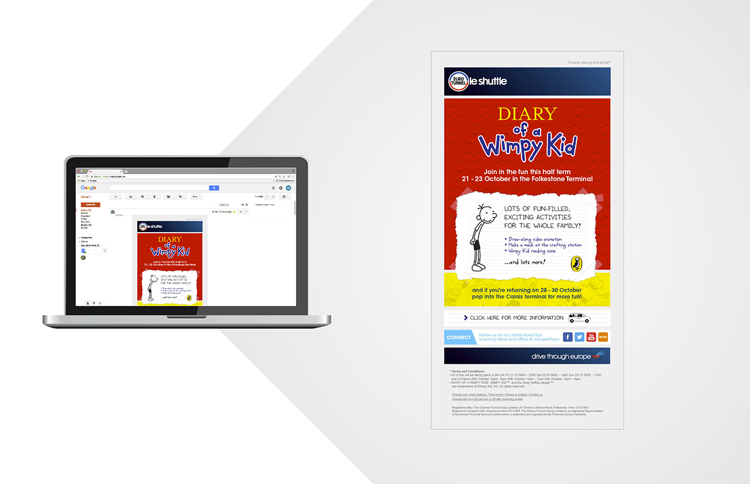 It also aligned Eurotunnel with an iconic children’s brand, supporting its credentials as the leading cross channel operator.